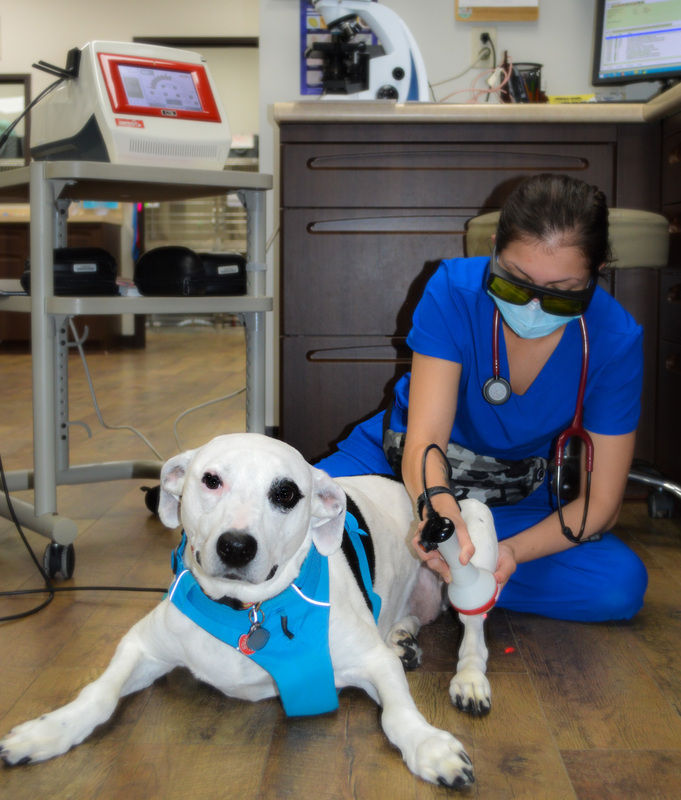 We are very excited to offer Laser Therapy to our patients. Laser therapy works by increasing the amount of available oxygen to the cell's mitochondria. Having oxygen available to the power plant of the cell boosts healing and reduces inflammation. Therefore, pet's will heal faster from surgery and chronic illnesses. Laser Therapy also reduces inflammation in joints and works well in our geriatric patients helping them to move with less pain.